Over 250 people were lost each year due to drowning along the beaches of Karachi. 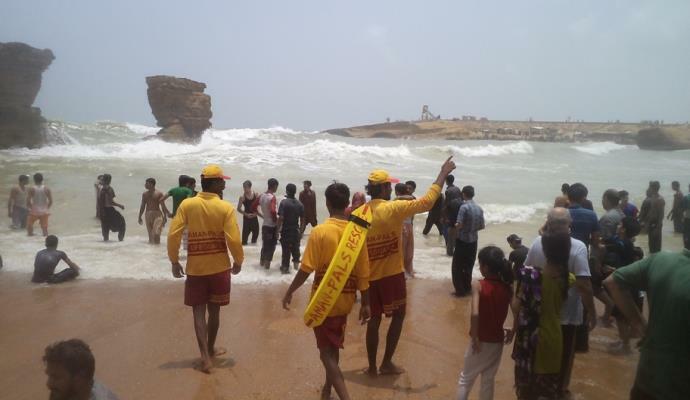 To make our beaches safe, PALS (Pakistan Life Saving Foundation – a registered NGO) was launched in July 2004 and has deployed over 200 trained lifeguards to patrol over 30 km of Karachi’s beaches from Sandspit to Hawks Bay and now Sea View and Clifton beaches as well. PALS employs over 200 lifeguards and can certainly use your help in offsetting the huge payrol costs. By sponsoring a lifeguard for a month, you will help us manage our costs and your contribution will go a long way in lifesaving in Pakistan. For USD 200/month. you can help us sponsor a lifeguard.